Most of us want to make our homes more sustainable. However, the idea of costly alterations and building work deters many people from approaching this project. But did you know that you can easily achieve this without spending huge sums of cash? In fact, you can transform your home into an eco-haven and save money. Saving the planet while reducing your outgoings may be more straightforward than you had anticipated. Here’s how. An average of 55% of annual energy bills in the UK are directly linked to heating. A way to tackle this can be through regular maintenance of your boiler. And fortunately, this is easy to do. You can even prevent overspending by lowering the temperature setting for this appliance. Remember that heightening it to the max can also create failures in the boiler’s system, which nobody wants — especially at this time of year. Therefore, it isn’t just the environment that this could be harmful to. It’s important to note that you should regularly check your boiler for safety purposes anyway. Obviously, how far you choose to go with this is completely up to you but furnishing your living space with plants can be very beneficial. 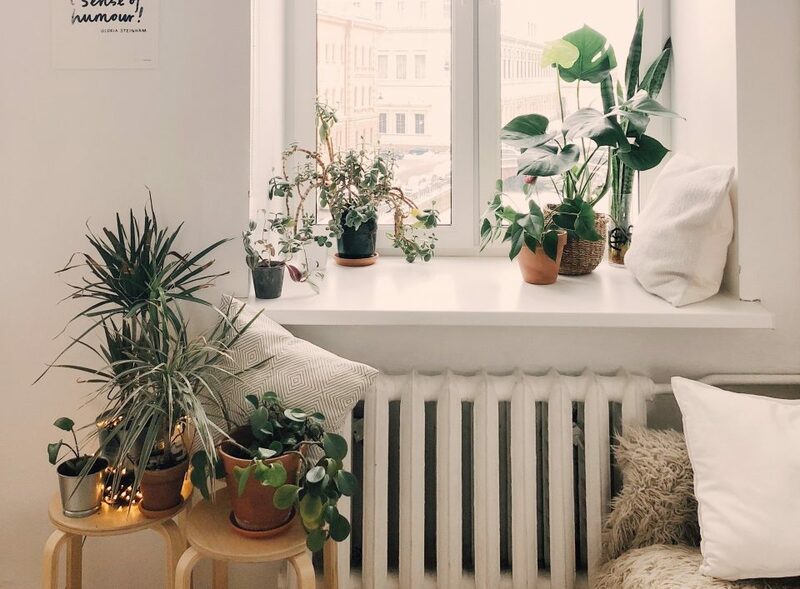 Whether you have five or fifty plants inside, you’ll be helping to eradicate harmful toxins and improve air quality within your living space. This isn’t just an energy-saving project — it’s a creative opportunity. It’s also affordable, and so could enable you to save for another worthwhile project. When it comes to heating bills, it may be that you’re paying more than you need to. Why? Because homes without roof, wall and floor insulation lose heat far more easily than properties equipped with this protection. With this energy-saving feature, residents can stay warm without having to crank the heating up. This will not only reduce your energy consumption, but could massively lower the price of bills, too. Considering a new piece of décor? If so, you could eliminate the fuss and environmental damage of packaging by buying one second-hand. Venture to your local charity shop or go online to find the right fit for your home. This way, you won’t be contributing to plastic pollution. And depending on where you shop, you could benefit a good cause. Oh, and you’ll save cash, too. Everybody wins! Creating a sustainable home needn’t be difficult or expensive. It can be cheap and enjoyable. With these tips, you could enhance the look of your abode, as well as its effect on the planet. There’s never been a better time to transform your property into a space that benefits the environment.